You know those days when you have a hungry family but haven’t quite had the time to get round to making dinner? I’ll admit I like to be far more organised and in control of meal times but this was just not one of those days. Mash the bean with a potato masher, ours ended up as a chunky mash. Add in the grated courgette and breadcrumbs, spices and herbs. Give it all a good mix. Beat the egg and add that in. 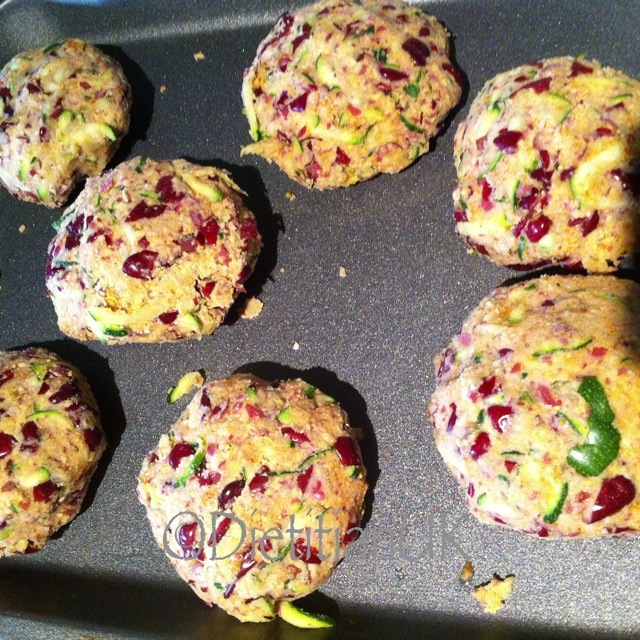 Finally shape into patties and place on a greased tray. They can be frozen at this point and then cooked from frozen at Gas Mark 5 for 25-30 minutes. If not, cook for 10 minutes at Gas Mark 5. 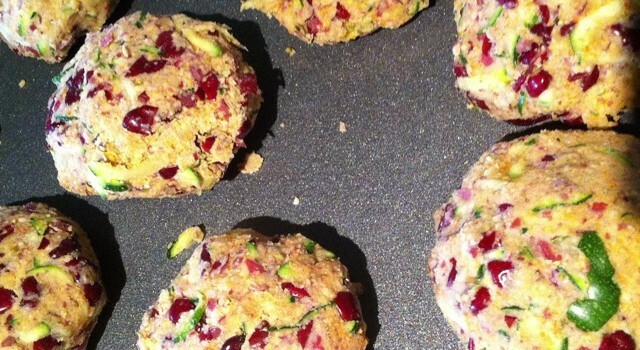 Dietitian UK: 10 minute Beam Burgers ready to cook. 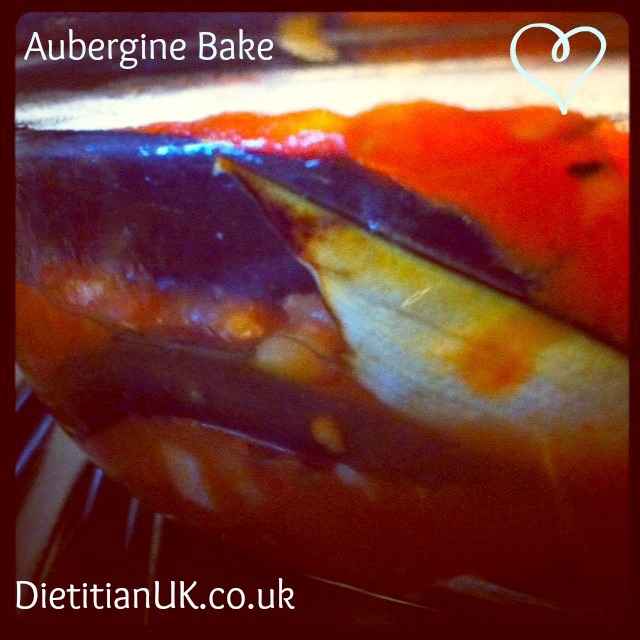 Try these with potato wedges and stir fried veggies or in a roll with salad and salsa. It’s officially cold, freezing, cold here. In fact it’s snowing! 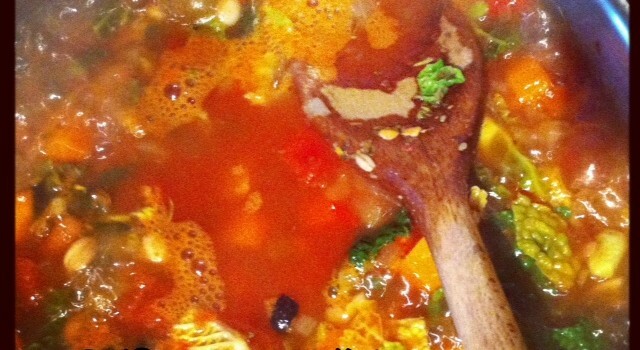 Here’s my perfect snow day soup recipe. 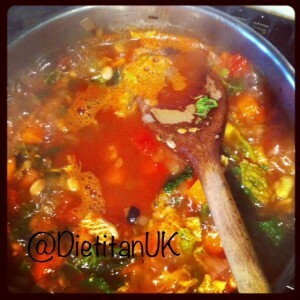 It’s packed full of veggies to boost that immunity, the beans are filling and satisfying, and being a soup, it’ll keep you warm. The pasta makes this a complete meal so no bread is needed. Great for feeding hungry families and using up left over veggies. Finely chop the onion and sweat in the olive oil. After a few minutes add the garlic and carrot, cook for a few minutes then add the chopped tomatoes. 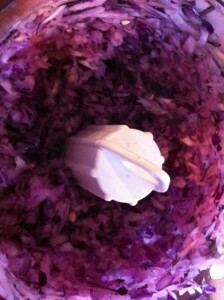 Add the shredded cabbage and the water. 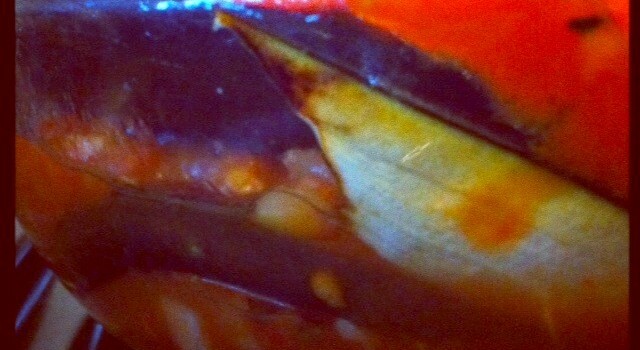 Next mix in the beans, pearl barley, tomato puree and herbs. Bring to the boil and let it simmer for 30 minutes. Add more water if needed. Season to taste and add the pasta. Cook for a few more minutes and serve. 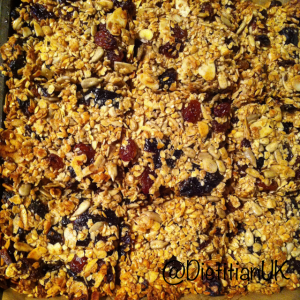 Homemade Healthy Breakfast Bars (gluten free, wheat free). I’m a huge fan of breakfast. If you’ve gone all night without eating then surely your body needs some food. It makes sense. It picks up your blood sugars, boosts your energy levels and wakes you up! Eating breakfast has been linked to improving your concentration levels, your memory and aids in weight loss. 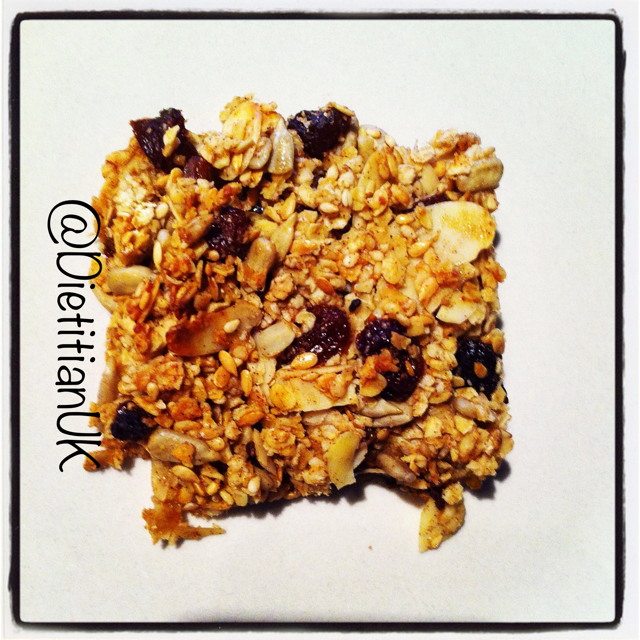 If you have a healthy breakfast that fills you up it should limit the need to snack on biscuits mid morning. BUT…. we all have those mornings when we just don’t have enough time. You sleep through the alarm, you forgot to iron your top the night before, the cat is sick on the kitchen floor, the phone rings…. you know what I mean. 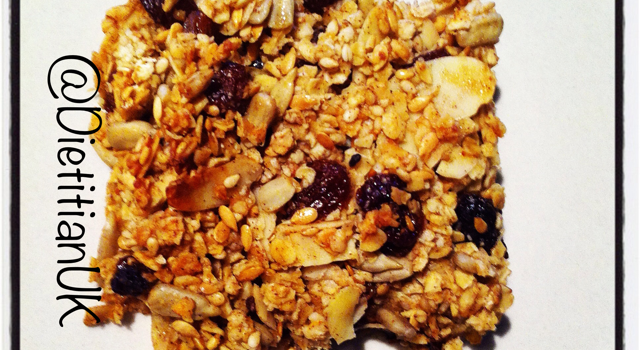 Rather than go without breakfast try making these babies. 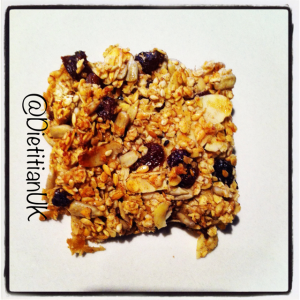 The oats are low in glycaemic index (fullness power), the sesame seeds provide calcium, the dried fruit is packed with iron, the nuts give protein, vitamin E and can help to lower LDL (bad) cholesterol. 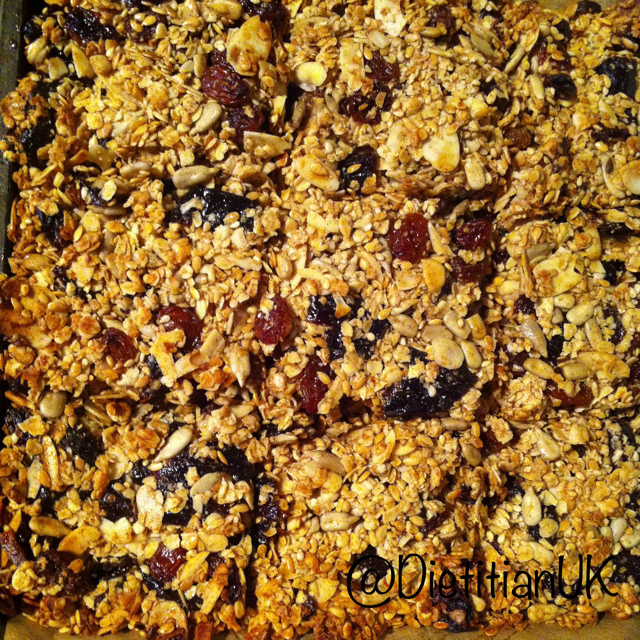 Mix the dried bits together (oats, seeds, nuts, fruit, cinnamon). Melt the honey and butter in the microwave on in a pan. Mix it all and add the beaten egg to bind. Bake in a lined and greased tin for 20-25 minutes. 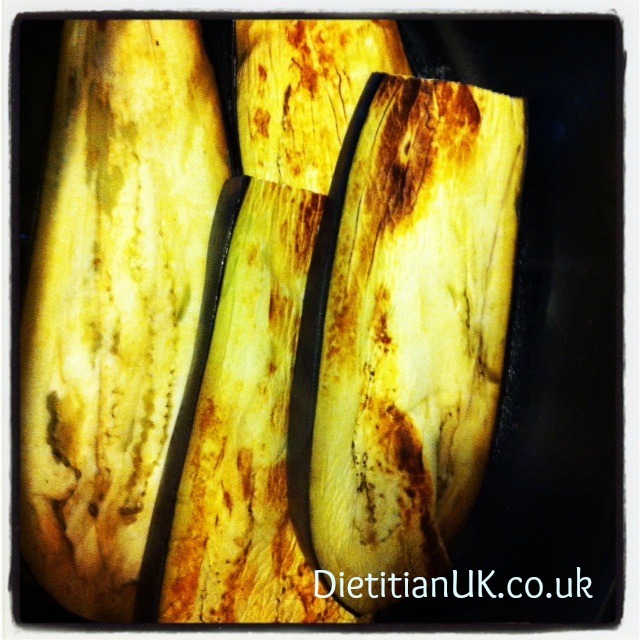 Slice up whilst warm but leave in the tray to cool before removing. I’d reccommend wrapped a couple in foil ready to take as you dash out the door. If you don’t eat them for breakfast then they also make a great snack. My toddler loves them! You can make as many variations on this as you are creative – change the fruit, the nuts, the seeds etc… let me know how you get on! 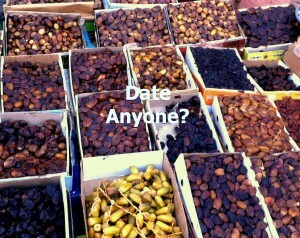 Gotta love a bit of dried fruit, especially when it’s on a market and there is such a choice! 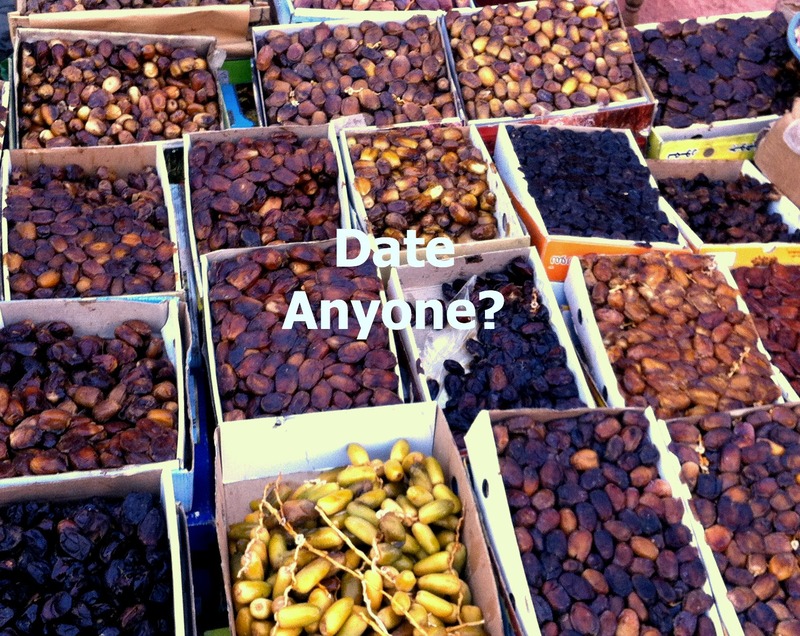 Date flesh is low in fat and protein but rich in sugars, mainly fructose and glucose. They are a high source of energy, as 100 g of flesh can provide an average of 314 kcal – so watch those portion sizes. Aim for 1 handful as 1 portion. Dates also contain selenium, copper, potassium, and magnesium, B vitamins and Vitamin C. Dates are a good source of antioxidants, mainly carotenoids and phenolics. There are some things in life that just work together. 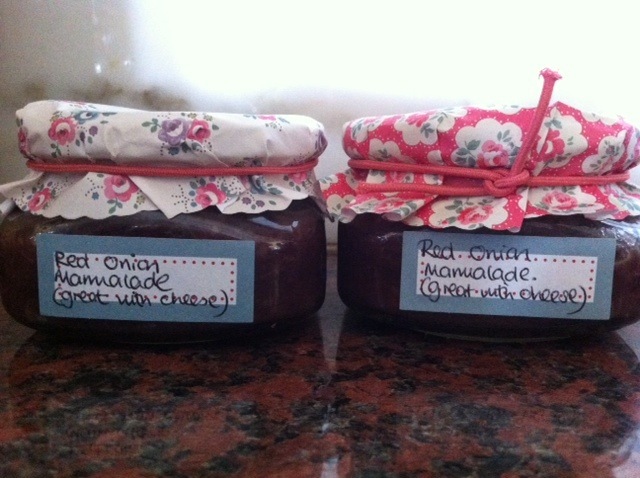 Rice and curry, rhubard and custard, scones and jam and one of my favourites: Cheese and Chutney. 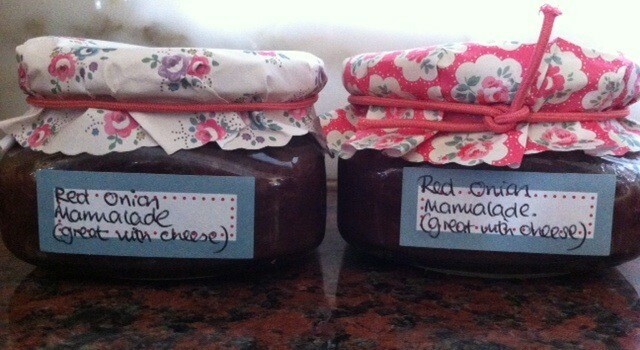 Earlier this year I made the most delicious Sri-Lankan Spiced Plum Chutney which has definitely aged beautifully. Today inspired by a pile of red onions I got up early (thanks to the little one) and we set about making this delight. It’s pretty quick to make and only has a few ingredients (if you have the onions you’ll probably have the rest too). Peel and quarter the onions, peel the garlic, then either finely chop or use a food processor to do this for you. Heat a large pan, add butter and oil, then cook the onions and garlic for 5 minutes. Add the vinegar and sugar, stir well and bring to the boil. Reduce the heat to a simmer and leave for about 30 minutes until it thickens. Taste – add more sugar/vinegar to taste and add salt to taste. Pot up in sterlised jars. These quantities made about 6-7 jars. Although this can be eaten straight away it’s a lot better if you keep it a couple of weeks first. I can’t wait to eat mine!